Microgaming enjoys working with other developers when designing new and interesting games. 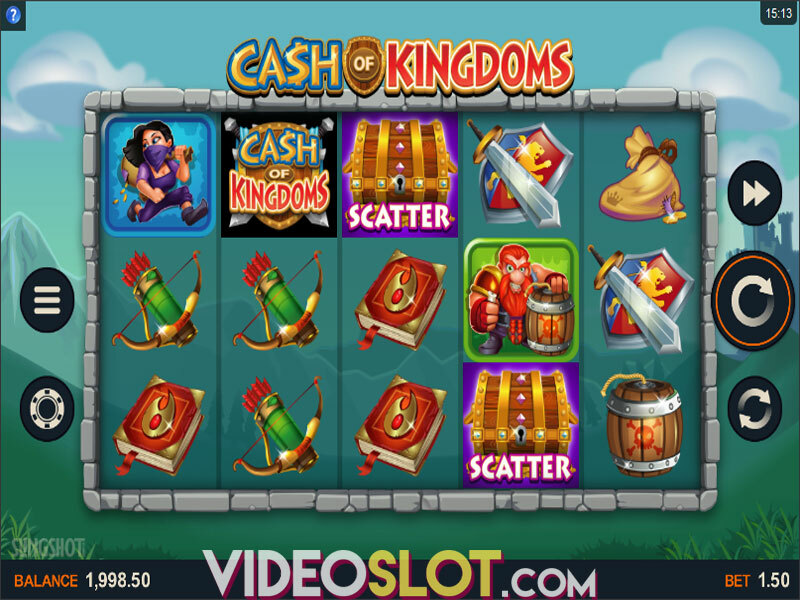 This time around, they collaborated with Slingshot Studios to create a video slot titled Cash of Kingdoms. It uses a medieval theme supported by a somewhat humorous, cartoon-like graphics and neat animations. As villains try to plunder king’s riches, brave heroes strive to stop them. One thing’s for sure, you won’t be the one leaving empty-handed, as the game offers Invading Wilds and a Free Spins round that provide opportunities of landing massive payouts. 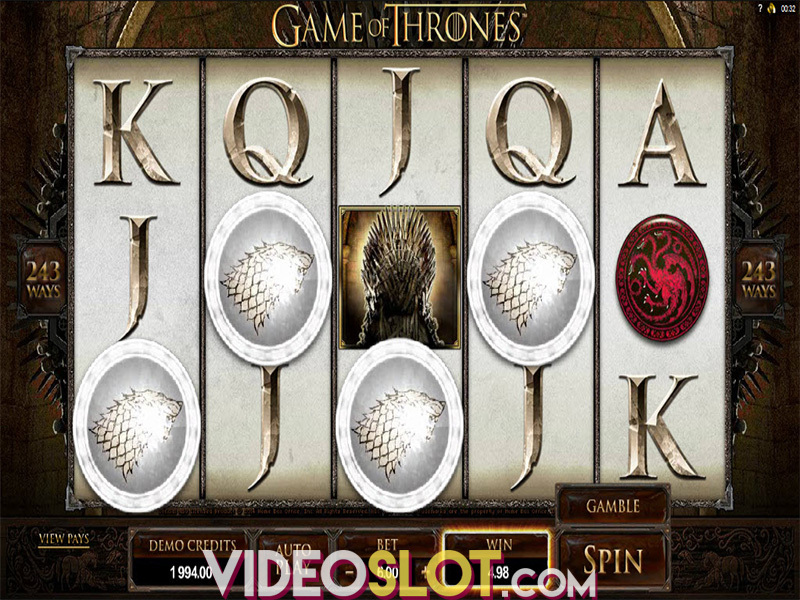 Cash of Kingdoms is a 5-reel, 3-row slot with 15 fixed paylines available to place bets ranging from $0.15 to $480.00. Click on the chip on the left of the reels to customize the bet by selecting the number of coins placed per line, which varies from 1 to 32. 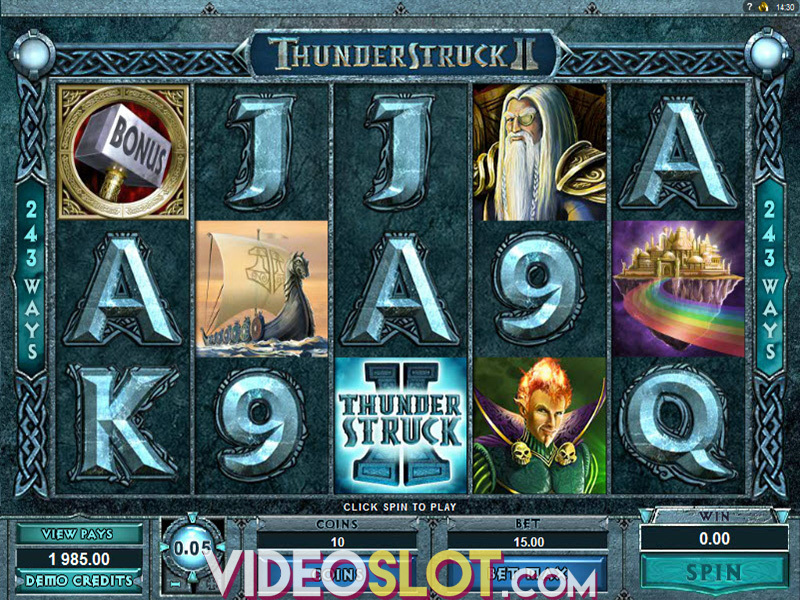 Adjust the coin denomination that goes as low as $0.01 and up to $1.00.You can start the game either by pressing Spin or by enabling Autoplay, so that the game continues automatically up to 100 times. If you want the reels to spin faster, you can always activate the QuickSpin feature. The slot pays both ways, but symbols must appear on adjacent reels on a payline, except for Scatter which will pay no matter where it lands. All wins will be multiplied by line bet. The Knight and Magician stand for high-value symbols that will pay 10x and 8x the bet respectively when 5 land on a winline. There are 3 more high-win icons that include an Archer granting you 6.6x the bet, the Red-bearded Villain and a Female Thief which deliver 6x and 5.3x the wager consecutively if 5 appear on a payline. Low-valueicons, Sword and Shield and a Spell book award2.3x and 2x the bet respectively, for 5 matching symbols. Land 5 Money bags, Explosive Barrels or Bow and Arrows and you will receive between 1.3x and 1.6x the bet. Wild is represented by the game’s logo, substituting all symbols but Scatter, and landing on reels 2, 3 and 4. It can appear stacked on the reels 2 and 4 in the main and Bonus game. Scatter is depicted as a Treasure Chest which appears on reels 2, 3 and 4 to deliver a prize 2x your bet when 3 land. Once Wilds appear fully stacked on the reel 2 and 4, the Invading Wilds feature is activated and Wilds cover one adjacent reel entirely bringing spectacular prizes. In addition to awarding prizes, 3 Scatters on the reels trigger 10 free spins. Throughout the Free Spins game, Invading Wilds are also active, becoming super stacked on reels 2 and 4, turning reel 3 Wild, and doubling all your wins. Obtaining more Scatters during the Bonus will award you with an additional free spin. Cash of Kingdoms is available on mobile and tablet, retaining the desktop version quality. As far as design and gameplay are concerned, Cash of Kingdoms offers an engaging and fun experience. Add the fact that payouts are delivered in continuity and the in-game feature, as well as the Bonus Round gets triggered quite often, the result is a must-play slot.